Let it be shown that the studies contained herein were conducted with the utmost regard to personal and public safety. At no time were detonations permitted in unsecured areas. All explosions were triggered remotely by wizards of the highest order who continuously monitored the explosive materials during transport, assembly and ultimate annihilation. Mathematical compositions are completely contrived and contain no factual data whatsoever. I made most of this up, if you’re still reading then you will hopefully find the rest amusing. When one sets out to ponder the combustibility of match heads one obviously assumes (rightly as we shall see) that there is indeed some combustibility. Why else would the material(s) which constitute the match-head be used if not precisely because they are, to some degree, combustible? Certainly many of the readers of this report will recall having struck a match-head in their previous life experience only to find the match-head bursts quite excitedly into flame. It is this very property of the match-head, its overt combustibility, which we will first examine. All matches are not created equal. Some are prepared on stiff pieces of cardboard, others on short wooden sticks. Some on quite long wooden sticks and still others on the bones of the vanquished. For our purposes the material used in the ‘stick’ portion of the match is of no consequence. This being the case you may be inclined to ask; “Then why sir have we spent 3 sentences discussing the match-stick when it is said to be of no consequence?” Why indeed. There are similarly a variety of match-head constructions, which as it happens, are of some consequence to our discussion. For most considering the chemical and physical composition of their match-head exceeds the brain-use barrier threshold* and as a result no consideration is given. However, when one seeks to optimize the performance or outcome resulting from the use of a match the composition proves quite important indeed. Generally match-heads can be broken into 2 categories. Those that will light on any rough surface (self lighting) and those that require the ‘strike pad’ provided on the match book or box. The design of the so-called ‘self lighting’ matches is a heavily guarded secret, with the highly sensitive formula kept in a titanium vault buried deep below the surface of the moon. A legion of un-dead Martian zombies have been patrolling the vault room for at least the past 50 years to ensure the secret formula not be published on wiki-leaks. For this and many other reasons the ‘self lighting’ matches are more expensive and more difficult to acquire. 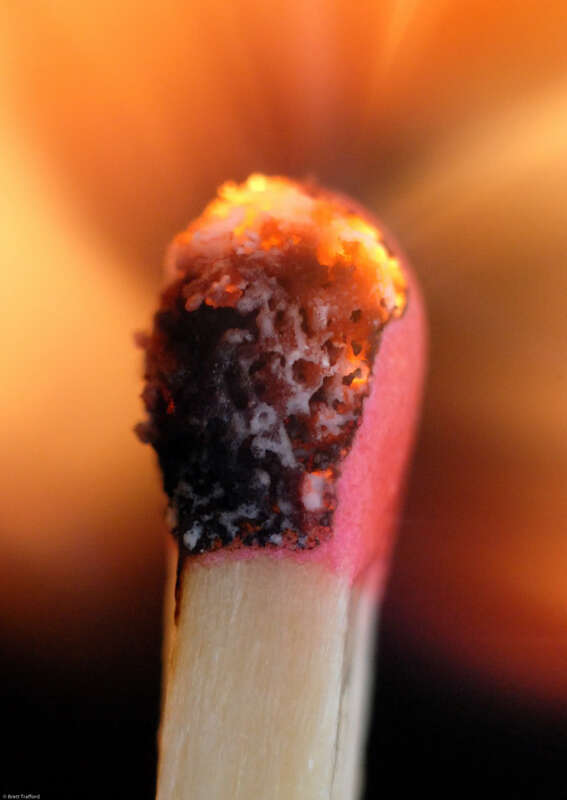 Choosing the type of match-head depends on the type of combustion desired. We present in this paper 2 variations – the ‘Impact Fuse’ and the ‘Time Delay Fuse’. The ‘self lighting’ match should be used when an impact fuse is desired, a standard match if a time delay fuse is required. Please note that a impact fuse device is considered sensitive and should be handled and transported with care as a sufficient jostling can and will ignite the match-head(s). Once you have determined which sort of detonation your project requires obtain a whole mess of matches and haphazardly chop the heads off of all of them, separating the match sticks into a pile of useless wood or cardboard. You can give the little sticks to small children you don’t like (they’re a choking hazard) or use them as tinder for a small but growing brushfire which will eventually be blamed on vagrants. Tennis balls are a dime a dozen (not really) and easily found at all sorts of sporting goods stores and departments (really). If your neighborhood features a tennis court at a park or public area you may even find them abandoned or thought lost in the nearby bushes. Tennis players are generally quick but those adventurers fleet of foot may even have some success streaking across an active court and snatching a tennis ball mid-flight then running off into the distance. This action will surely confuse any who witness it. In any event you will need to acquire a tennis ball before its explosiveness can be achieved and its mechanics evaluated. Having now acquired a tennis ball we must analyze it carefully. We can deduce that the ball is made from the reproductive organs of some unknown beast, likely inhabiting some distant rain forest. We can see that a baseball enthusiast artisan in a sweat shop has carefully carved a line in the fuzz as an homage to the threads of a baseball. Presumably this is done in an effort to increase interest in the otherwise uninteresting sport of tennis. Neither the fuzz nor the carved thread line is of any relevance. We must now bounce the tennis ball and measure the results. You should find that dropping the ball to the ground results in less bounce than throwing the ball at the ground. Also, let it be shown that the degree of force applied to the ball predictably effects the subsequent rebound. As it turns out this is all irrelevant but it was fun to bounce the ball around a bit and it provides a scientific context for having done so. 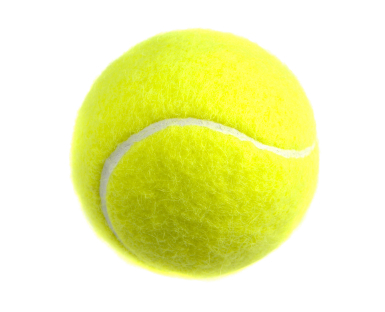 Once the bounce to toss ratio has been confirmed we begin the process of rending the tennis ball explosive. This process will negate the bounciness of the ball so if you have taken pains to record the bounce ratios please crumple and discard those figures now. Note: Those with an aversion to moderate to severe burns, explosive concussion, brush fires and injured or missing fingers should not attempt to recreate this experiment. 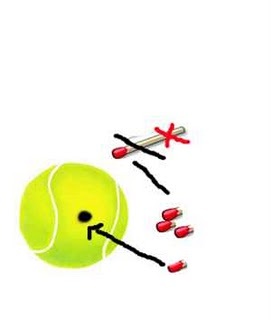 Step 1: Using a sharp or pointy object we create a small hole large enough for a match-head in the tennis ball. Do not worry, the tennis ball feels no pain as a result of this incision. It’s a little known fact that tennis balls feel no pain. Step 2: We then insert the match-heads into the small hole we’ve just created in the tennis ball. Please note that we have taken care while inserting the match-heads to avoid premature ignition and subsequent burning of the tennis ball beyond recognition. Having combined the match-heads and tennis ball we now explore the explosiveness of the tennis ball in an ‘impact fuse’ configuration. Doing so requires careful preparation and highly sensitive instruments and as such it is not recommended that armatures attempt further inquiry. Upon examination it now appears as though the neatly carved psuedo-thread of the tennis ball is smiling mockingly at us. This displeases the attentive scientist. Does the ball not realize who is in charge? Why is it smiling mockingly? Why didn’t we notice this condecending facial expression earlier in the ‘Tennis Ball’ section of the report? All valid questions which will go curiously unanswered. Taking the inverse proportion of the quantum sigma 5y omega minus the radius of the ball and then divided by the imagined number of match-heads results in the WBR (Wizards Blast Ratio), in this case 7. 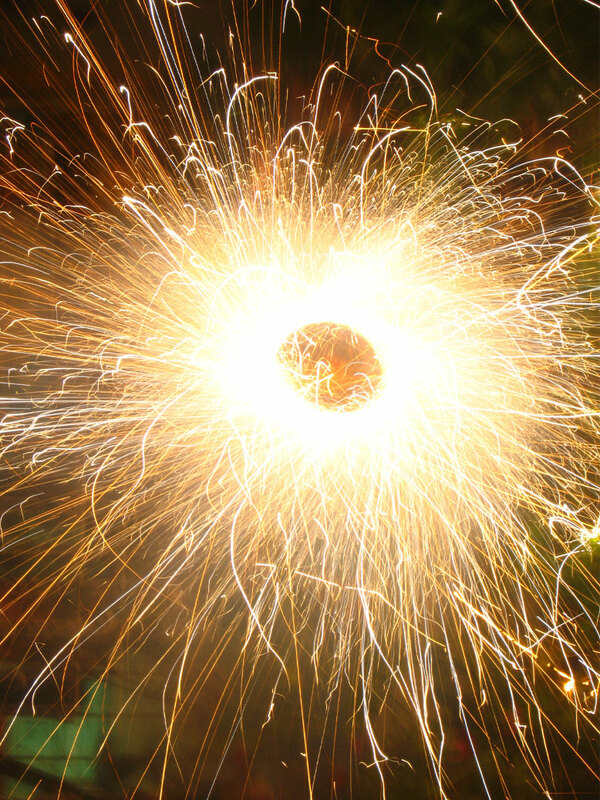 A WBR of 7 indicates that we can expect a noisy boom followed by a shower of flaming embers upon detonation. The power of the blast, WBR x 8.2 / 78x is expressed in WCU’s (Wiley Coyote Units) a relatively modest 0.8. By hastily merging the WBR and WCU we arrive at a value of 7.8, a number which carries no specific meaning but because it has a decimal will appear to have been carefully calculated. We can then state definitively that we know little to nothing about the actual power or impact our tennis ball can be expected to assert upon detonation. Hooray – lets throw it! Having searched Google for a suitable location we find that it was of little help. Perhaps a more specific search is in order but screw it, lets just go to the nearest park no one uses. Ahh, here we go. Detonation of the impact fuse device is devilishly simple. We could have created an elaborate and costly launching apparatus, employing dozens if not hundreds of migrant workers in the extremely inefficient and wildly dangerous manufacturing process. Instead we opt for a upper body appendage delivery system (UBADS) whereby clean ‘green’ carbon neutral non-polluting Al Gore-friendly power is used to launch the ball. A launch trajectory of 64 degrees is arbitrarily choosen and paired (without due consideration) with a launch velocity of “hard-but-not-too-hard” specified, again without any particular reason. Video of the inaugural launch was taken but has subsequently been lost due to the elves that steal not only socks but camcorders and other pricey electronics. In place of that video I will now describe, in excruciating detail, the flight of the ball. It went up at first, moving quickly at a speed generated exclusively by effective use of the UBADS launching system. You could clearly see the yellow ball traveling across the blue sky. There were no clouds that day, though it did rain later that week. It looked like it might have had a bit of backspin though it is hard to ascertain how much, we’ll say 10 revolutions per second and assume that is in fact accurate. It continued on its upward trajectory for a bit then peaked at the top of its arc whereupon it began an accelerating decent approaching initial launch speed as it neared the targeted section of asphalt. As it flew downward a small bird flew past, coming no closer than 50 feet from the ball. If we’d done this at night the bird may have been a bat and that bat may have chased the ball thinking it an enormous mosquito. Upon landing the tennis ball burst quite energetically resulting in a small explosion bearing little to no resemblance to that in the picture provided to the right. There was no observable damage to the asphalt but the tennis ball was another story all together. It was the best of times, it was the worst of times…for the tennis ball that is. While certainly the flight through the air was not only acceptable but enjoyable to the ball it could have had no way of knowing that trip would be its last. For tennis balls tend to pay little attention to what goes on when they’re not flying through the air, so this one knew not that it was stuffed with match-heads. We regret to inform that the tennis ball did not survive, its charred fractured remains were discarded in a nearby trash can. Following the initial explosion there was a rain of fiery bits that lasted a few moments. Care was taken to extinguish the small resulting secondary fires, no damage was reported as a result. The fire rain was twinkly and nice to watch, but one would not wish to be beneath it as it fell because, well, its fiery bits and those burn stuff. In conclusion we find that match-heads are indeed combustible and when combined with a tennis ball mechanically altered and moved, create an ‘explosive tennis ball’ thereby rending our report title accurate. Furthermore we find that the mocking smile of the tennis ball has been effectively eliminated and, in fact, may not have existed to begin with. In retrospect it seems improbable that the balls expression changed at any point leading up to the final combustion, which quite permanently altered its expression from one of fuzzy green smiley’s to charred black fragments. * – The “Brain-Use Barrier Threshold” describes to what degree the anticipated complexity of a train of thought impacts whether or not the train will be permitted to leave the station. This entry was posted on June 30, 2010 at 4:27 pm and is filed under Misc. with tags Combustibility, Explosiveness, Mad Scientist, Match-Head, Mechanics, sporting goods gone wild, Tennis Ball. You can follow any responses to this entry through the RSS 2.0 feed. Both comments and pings are currently closed.